oak Idaho internal door. perfect in any setting, see the range! The oak Idaho internal door comes with 3 full length glazed panels this door has a striking appearance for a very modern feel, the door is constructed with particleboard core, 10mm matching timber lippings and is faced with an unfinished oak veneer. Unfinished it is ready for your own final decoration. 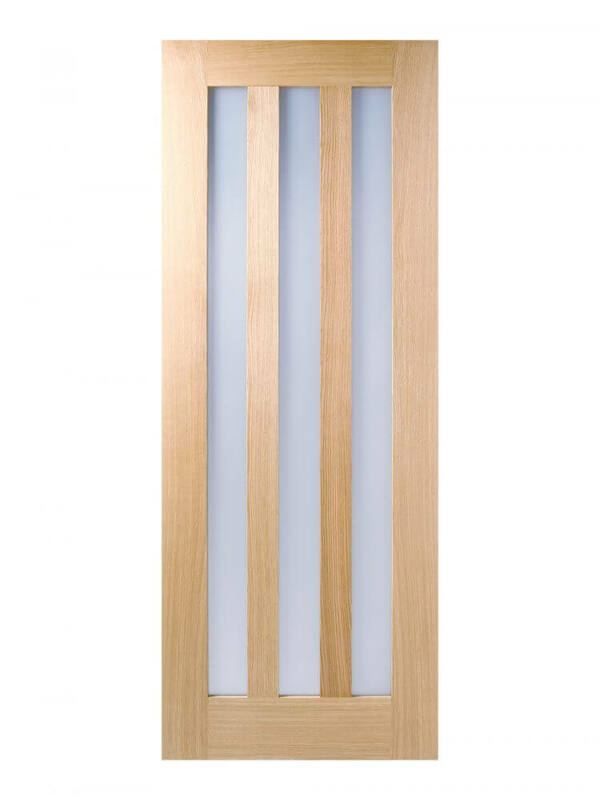 This door brings a very modern glazed door at a very reasonable price.